One year has gone by since the simultaneous announcements made on December 17, 2014, by the presidents of Cuba and the United States to reestablish diplomatic relations between both countries and work to improve our relations. One year ago, on a day like yesterday, as part of the agreements reached to find a solution to issues of interest for both countries, we were able to announce, to the great joy of all of our people, the return to our homeland of Gerardo, Ramón and Antonio, with which we made true the promise made by Fidel who had asserted that our Five Heroes would return. On that same date, in accordance with our reiterated disposition to hold a respectful dialogue with the Government of the United States, on the basis of sovereign equality, to discuss a wide variety of issues in a reciprocal way, without any detriment to our people’s national independence and self-determination, we agreed to take mutual steps to improve the bilateral atmosphere and move on towards the normalization of relations between the two countries. • Diplomatic relations were re-established and the embassies in both countries were re-opened. These actions were preceded by the rectification of the unjust designation of Cuba as a State sponsor of terrorism. • High level meetings and visits have taken place. • New possibilities for bilateral cooperation have opened up in areas of mutual benefit, such as environmental protection, law enforcement, maritime and port security and health. • New dialogues have been initiated on bilateral and multilateral topics of interest, such as climate change, mutual compensations, traffic in persons and human rights, this latter being the one on which we have profound differences and about which we are having an exchange on the basis of respect and reciprocity. • We have signed agreements on environmental protection and the re-establishment of direct postal services. All of this has been achieved through a professional and respectful dialogue based on equality and reciprocity. Quite on the contrary, this year we have not made any progress in the solution of those issues which are essential for Cuba to be able to have normal relations with the United States. Although President Obama has repeatedly stated his opposition to the economic, commercial and financial blockade and has urged Congress to lift it, this policy remains in force. The persecution of Cuba’s legitimate financial transactions as well as the extraterritorial impact of the blockade, which causes damages and hardships to our people and is the main obstacle to the development of the Cuban economy, have been tightened. The steps taken so far by President Obama, although positive, have proved to be limited in scope, which has prevented their implementation. By using his executive prerogatives, the President could expand the scope of the steps that have already been taken and take new steps that would substantially modify the implementation of the blockade. Despite Cuba’s repeated claim for the return of the territory illegally occupied by the Guantánamo Naval Base, the Government of the United States has stated that is has no intention to change the status of that enclave. The US Government is still implementing programs that are harmful to Cuba’s sovereignty, such as the projects aimed at bringing about changes in our political, economic and social order and the illegal radio and television broadcasts, for which they continue to allocate millions of dollars in funds. A preferential migration policy continues to be applied to Cuban citizens, which is evidenced by the enforcement of the wet foot/dry foot policy, the Medical Professional Parole Program and the Cuban Adjustment Act, which encourage an illegal, unsafe, disorderly and irregular migration, foment human smuggling and other related crimes and create problems to other countries. The Government of Cuba will continue to reiterate that, in order to normalize relations, it is imperative for the US Government to derogate all these policies that date from the past, which affect the Cuban people and nation and are not in tune with the present bilateral context and the will expressed by both countries to re-establish diplomatic relations and develop respectful and cooperative relations between both peoples and governments. 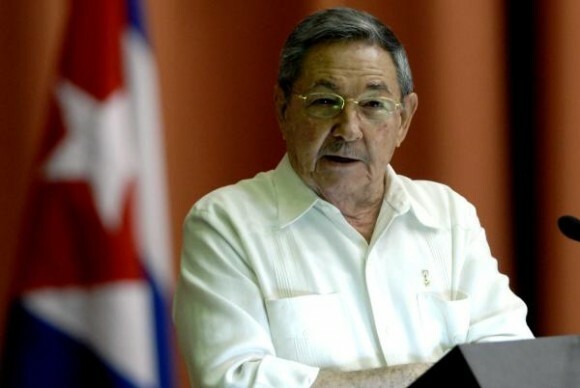 No one should expect that, in order to normalize relations with the United States, Cuba will renounce the principles and ideals for which several generations of Cubans have struggled throughout more than half a century. The right of every State to choose the economic, political and social system it wishes, without any interference whatsoever, should be respected. The Government of Cuba is fully willing to continue advancing in the construction of a kind of relation with the United States that is different from the one that has existed throughout its prior history, that is based on mutual respect for sovereignty and independence, that is beneficial to both countries and peoples and that is nurtured by the historical, cultural and family links that have existed between Cubans and Americans. Cuba, in fully exercising its sovereignty and with the majority support of its people, will continue to be engaged in the process of transformations to update its economic and social model, in the interest of moving forward in the development of the country, improving the wellbeing of the people and consolidating the achievements attained by the Socialist Revolution.